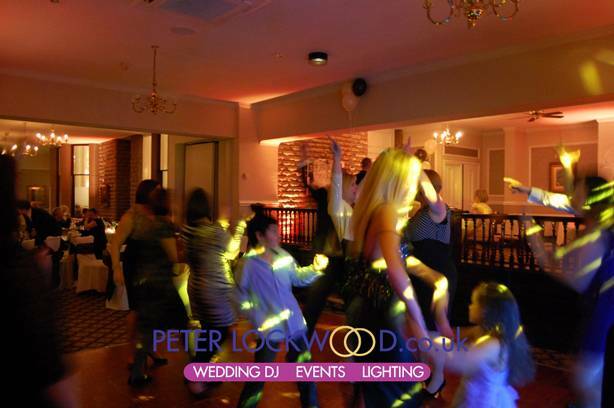 Norton Grange Wedding UpLighting I have provided wedding lighting at the two main function rooms in Norton Grange a few times. 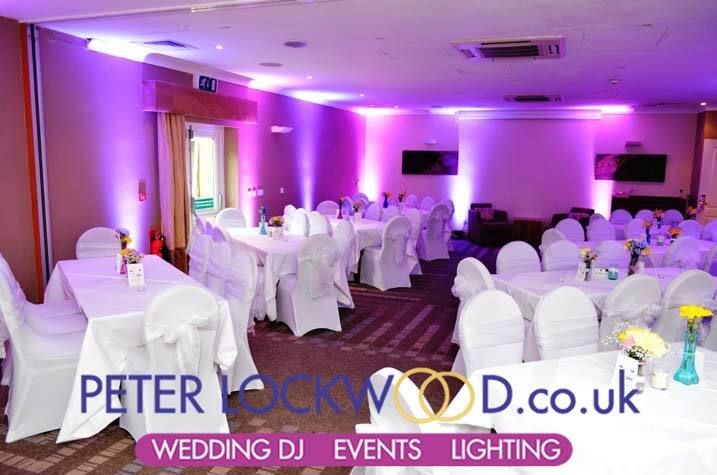 Its a lovely local hotel that comes alive with my wedding lighting service. 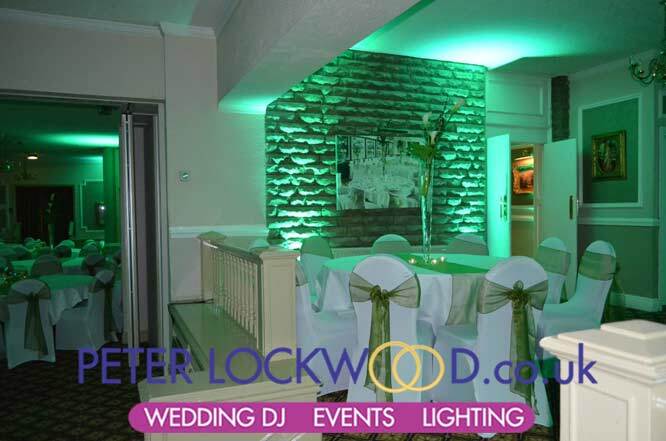 As the Norton is very local to me I am always up for a good price on my uplighting service. 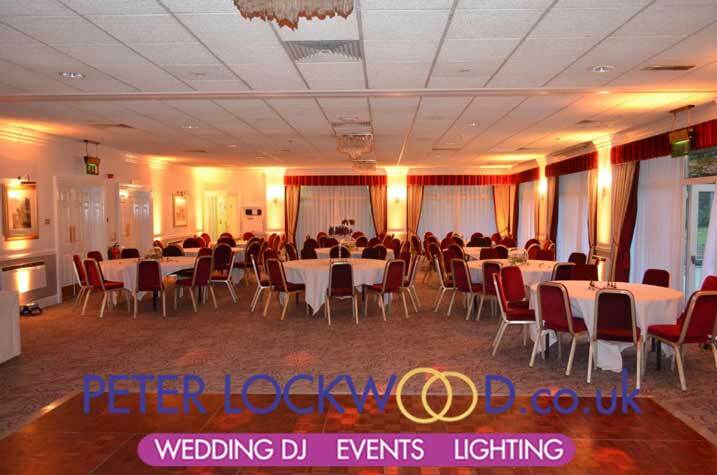 The first set of pictures are from the Grange suite. 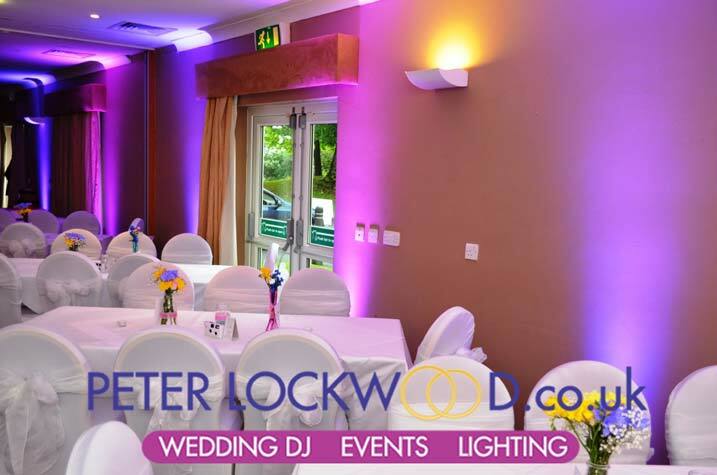 I am able to fit my uplights on 3 sides of the room, due to the wall of windows down one side. 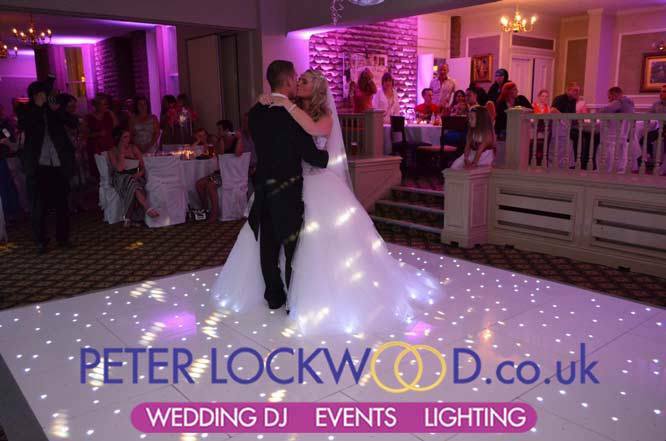 I love this picture showing my pink uplighting and a magical first dance in the grange suite. Get in touch with me if you want a magical moment like this. 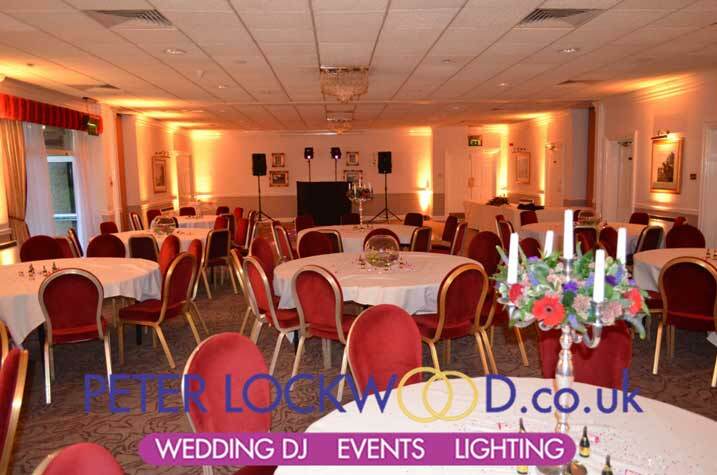 Sage Green uplighting was the colour picked by the bride and groom at there wedding in the Grange Suite and in the pictures below Orange uplighting was picked by my client at there wedding at the Grange suite. 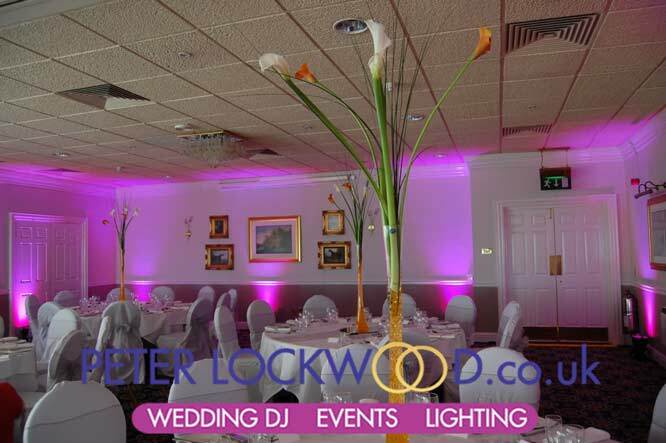 The next set of pictures show the Hopwood suite with up lighting. The pictures were taken in the daytime. 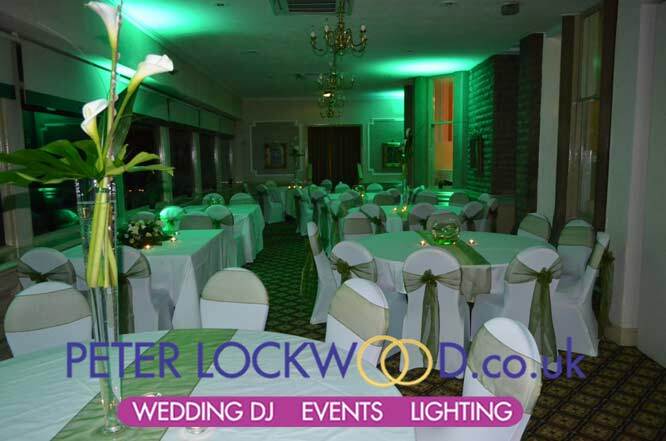 In the Hopwood suite it takes around 16 to 18 lights to fully light the room. 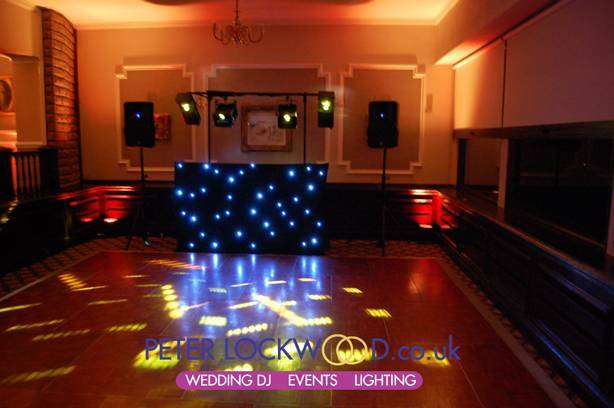 Orange mood lighting was selected by my clients to go with the autumn theme wedding. 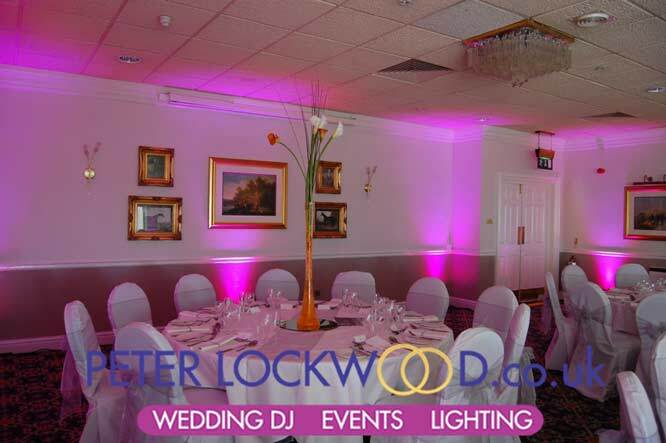 The last two pictures show my wedding lighting in the Springhill suite, they was set on Pink and Lilac.